At Luxury Floors and Stairs we offer two main types of flooring: Engineered Wood Flooring and Hardwood Flooring depending on budget and style of flooring you want to achieve. In an industry where honesty and integrity set the tone for success in a customer’s vision, Luxury Floors is one contractor you can count on. As the owner of Luxury Floors, Sam Diaz uses his over thirteen years of experience to perfect the art of flooring in homes and businesses throughout Texas. Luxury Floors delivers Solid Hardwood flooring, hand scrapes, and customized stains along with the highest level of service possible. It is through his creativity and professionalism, that Luxury Floors has made a big splash in the industry. Sam and his team have contracted with home builders, investors, realtors, designers, and even individual home owners. Each project is completed timely and cost estimates are accurate the first time. With an honest approach, high level of service, and only the best materials, Luxury floors strives to invoke a sense of customer satisfaction in every job. Our certified hardwood nail down installation experts can quickly and efficiently install the hardwood floor of your dreams in any room in your home. Read more about our installation process on the pages throughout this website. Refinishing hardwood floors is a quick and easy way to bring your tired and worn looking floor back to new. Depending on size, most floors can be refinished and complete in only 2 days. With todays enhanced products and techniques, refinishing is a relatively painless process. Our flooring experts can repair and/or replace almost any damage you may have incurred on your wood floor. From water damage to scratches and gouges, we can seamlessly blend the repair into your existing hardwood floor. The installation of engineered wood flooring is quick and relatively clean compared to that of a hardwood floor. Depending on the type of flooring selected, engineered wood flooring is set in place with a durable glue product that adheres the flooring to the surface of the home, usually concrete. Our hardwood flooring services are very reliable and efficient. More on this topic coming soon. 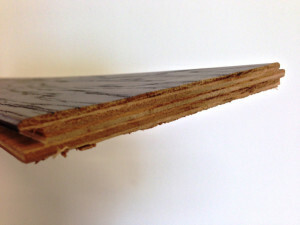 While most consumers believe that an engineered wood, with its very thin veneer layer cannot be refinished, that is not true. Depending on the thickness of that layer, we are able to convert most engineered wood flooring to a true hand scraped hardwood appearance in only a couple of days. Contact us for more information. 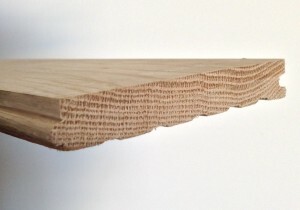 Repair of engineered wood is a straightforward process. It generally depends on product availability, and the degree to which the existing product has weathered/faded when compared to the newly installed repaired section.